It's unanimous - London loves FIDDLER ON THE ROOF at the Savoy Theatre! 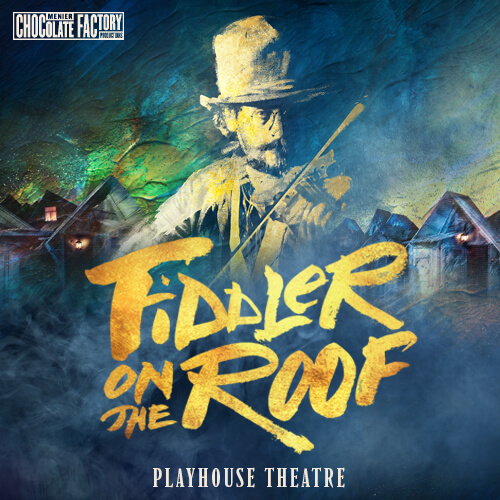 The production has received rave reviews from both London audiences and National critics across the press and all agree: FIDDLER ON THE ROOF is the 'must see' production of one of the best loved musicals of all time. Critics have hailed Olivier Award-winner, Henry Goodman, who stars as Tevye, as 'superb', 'sublime' in a role he was 'born to play' and 'achieving the star status he so richly deserves.' Winner of 9 Tony(r)Awards in 1964, this spectacular stage show went on to become a smash-hit Oscar-winning film and features some of the most memorable songs in musical history, including 'Tradition', 'Matchmaker', 'Sunrise, Sunset' and the unforgettable 'If I Were A Rich Man'. A five star show in a five star theatre: this brand new production of an uplifting and heartfelt story is an experience to treasure - TREAT YOURSELF! On the 28th December 2007 matinee and the 4th January 2008 matinee, the part of TEVYE normally played by Henry Goodman will be played by Matt Zimmerman.